In 2013, Cambridge Analytica, a political consulting firm took personal data from people through an app on Facebook named ‘This is your Digital Life‘. They conducted a quiz to know users’ personal ideologies and mentioned that it was for academic purposes. Through this app they accessed personal data of not just the people who took the quiz, but also of the friends of people who participated in the quiz. In that way Cambridge Analytica accessed data of approx 8.7 crore Facebook users. Using this data, Cambridge Analytica developed ‘psychological profiles‘ of the affected users. After that, they targeted these users with tailored ads to politically influence them. It was alleged that Cambridge Analytica helped Trump to win the presidential elections in USA. This is how people are influenced – For example, if someone is against gun culture in USA, he/she was shown Facebook ads like “Trump is against gun culture”. Thereby, he/she will be inclined to vote for Trump. In this way, users’ political opinions were influenced. In March 2018, whistle-blower from Cambridge Analytica exposed this scandal. After two weeks, Facebook director Mark Zukerburg apologized Facebook users for the data breach. He claimed that Facebook is taking steps to ensure this doesn’t happen again. He also promised that he will implement EU’s GDPR (General Data Protection Regulation) kind of rules for Facebook not just for EU but for all Facebook users. Many companies are taking personally identifiable data. But right now, we have no control over the data that is once given. We do not know for what purposes our data is being used and for how long the data is with them. Even if they confirm that the data is deleted, we do not know whether it is true or not. In India, data protection laws are very weak. Hence we are more vulnerable than the people from developed countries. Till now, we all know that companies serve targeted ads to people. But as long as it was for consumer goods, almost everyone was okay with it. But now we came to know that there are people who are trying to influence people’s political ideologies using their psychological profiles. It is very scary. Recently, ‘Cobra Post‘ exposed several Indian media channels that accepted to take money to stream programs to manipulate the political views of audience. Both ‘Cobra Post’ and ‘Cambridge Analytica’ incidents are revealing the new kinds of unethical practices to influence voters. Data scandals are happening because we are still in the early stages of data-centric age. Now, everyone is realizing the importance of data protection, responsibility of firms that use our data and how this data is being used for profits. 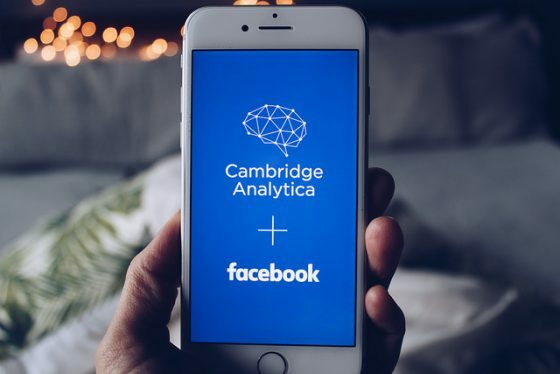 This Facebook – Cambridge Analytica expose is a wake-up call for the world to implement tougher data protection laws. What is your opinion on this data scandal? Express your thoughts in the comment section below. Subscribe to our blog to read answers to Trending GD topics.